I understand there are some really serious political battles going on right now, such as the US mid-term elections and Brexit, but now and again I need cheering up. So, I wandered over to the Guardian to see what they were whingeing about, and as usual they didn’t disappoint. One of their writers, a Mr Caspar Salmon, who is a film-writer based in London, is disappointed that the US magazine People has crowned Idris Elba the sexiest man alive, because Elba is too masculine. I kid you not. Although Elba is black, this is not enough to keep the diversity police happy over at the Guardian. The last point is probably true: this is why you see so many men getting pedicures and wearing cashmere jumpers, more’s the pity. Here we can see the relentless attack on masculinity once again. Mr Elba is a cool 6ft 3in, 42 years old and was born in the mean streets of Hackney. This is all too much for Salmon: ‘The prize tells us a good deal about the cult of masculinity still prevalent in the world, which equates male looks with “sexiness” rather than beauty. This emphasis on sexual attraction brings power and dominance into consideration alongside mere aesthetic qualities.’ Perhaps an elf would be more to the writer’s liking. Here you see the Left struggling again with human nature and the fact that many people do indeed equate sexiness with more than mere beauty, especially when it comes to men. The truth is that sexual attraction and power are closely combined and as such this makes the destruction of the patriarchy so very difficult. It’s an endless battle for film-makers and editors at the Guardian. Endless. In fact, it is not just ‘straight’ masculinity that is the problem either. ‘The magazine’s most beautiful people award, which usually goes to women, has traditionally crowned a similarly easy-going white gal who oozes straight femininity (Julia Roberts has won it five times, Jennifer Aniston twice).’ Well if you are going to take on America’s sweetheart in the form of Jennifer Aniston, that’s your funeral, mate. So there we have it. The Guardian – they like to take themselves very seriously but to everyone else they are a form of light entertainment. 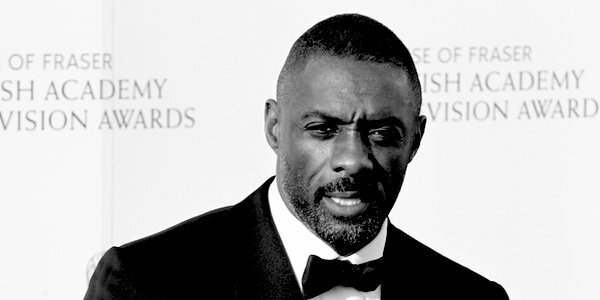 And congratulations to Idris Elba – sexiest man alive.